Financing and buying a a new drugstore or pharmacy. Funding for a new drug store. Prudential Consulting Broker Services offers a full listing service to help sell your pharmacy at the highest possible price. When you list with us, you can be assured that your transaction will be handled with the utmost integrity and professionalism. Many brokers and consultants claim they have a "proprietary list of buyers" or "know who the buyers are". The simple truth is that no company is more connected to buyers on a state and national level than Prudential Consulting Broker Services. Listing your pharmacy for sale with us will give you the number one advantage in obtaining the highest value for your pharmacy, and that is exposure to multiple qualified buyers. Our listings are brought to the five major types of buyers through a national marketing program, dramatically increasing your chance of bringing the greatest number of qualified buyers to the negotiating table, which is the key to driving the highest value for your pharmacy in todays market. What if� you could acquire the latest technology without breaking your budget? 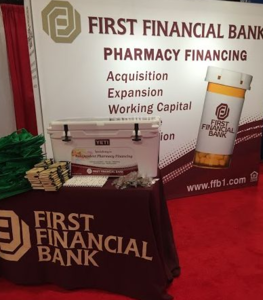 Americorp Financial is there to help you with customizable, budget-friendly financing solutions, so you can start using your equipment to improve processes and generate revenue for your pharmacy. We build flexible and affordable programs from your selected manufacturer(s). You choose your vendor, your equipment, software and additional products or services (training, installation, maintenance, etc.) to be financed. Fixed monthly payments with an end of lease purchase option ($1 Buyout, Fair Market Value); Could qualify for Section 179 tax deductions. We develop a program with no payments for up to 6 months, so you start using the equipment to generate revenue before a payment is due. Combine your equipment, installation, maintenance, training, and other qualified installation costs into one monthly payment � instead of having separate invoices for each service. Vendor requiring advance deposits can be financed for qualified customers and combined into your monthly payments. Not sure how financing can help you? Our experienced professionals will develop options that align with your pharmacy�s budget and future strategy. Americorp Financial understands your challenges. 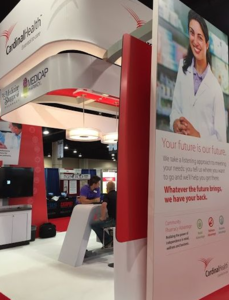 For more than 30 years, Americorp has collaborated with independent and long-term care pharmacies nationwide to develop customizable financing solutions driven by each pharmacy�s specific situation. 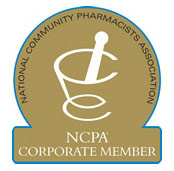 Every pharmacy�s needs are not the same � Americorp Financial will customize a financing solution for your pharmacy. Contact us today by calling Teresa Loeffler at 800-233-1574 or email us at sales@americorpusa.com to learn more and get started.